Almost all the press release distribution companies charge you an additional premium to offer White Label Service. However, we do not charge any extra, as our service is white label by default, which means your press release will not be published on the NewswireNEXT.com website, nor there will be any mention of our brand on your news release, media outlets and report. Your competitors will never know what service you used to promote your brand. More Information can be found here! Simply anybody can use our service and benefit from it! We deliver what we claim! We guarantee online placement of your news on MSNBC, PBS, one Authority Blog, Facebook Instant Articles, Google AMP, Apple News, and other 500+ Media Outlets. 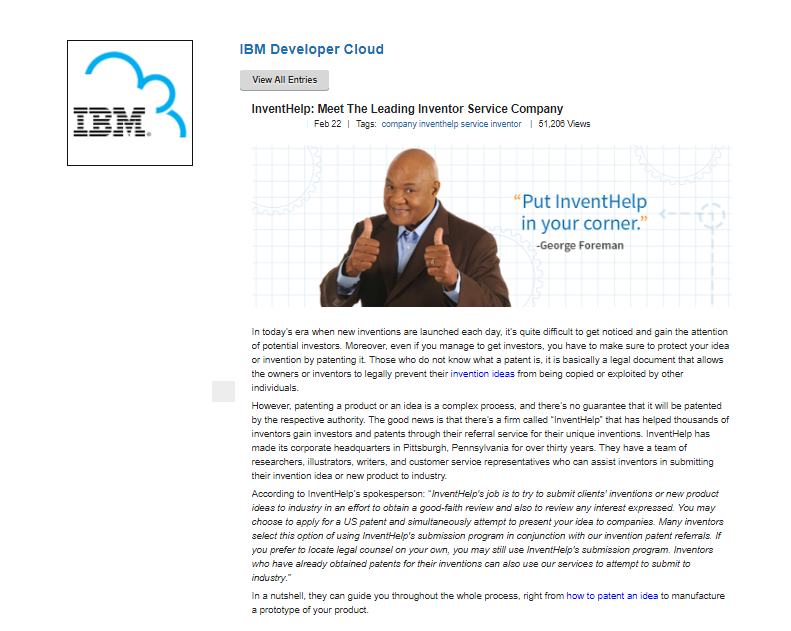 Here are the screenshots of some of our news posts published on IBM blog. A single post like this published on a Top Tier site can generate hundreds or thousands of views in a matter of just few days. Today, most of the individuals get their news from News Apps. Hence, one cannot ignore the significance of mobile platforms like Facebook Instant Articles, Apple News and Google AMP in a PR campaign. • Facebook Instant Articles load ten times faster than your normal web page. • Apple News is a mobile news app with more than 70 Million users worldwide. • Google AMP speeds up mobile web page loading time by almost 85%. We ensure that your press release is published in all the 3 mobile formats, giving you that additional exposure and edge over your competitors. We have a list of more than 400 Editors/Contributors/Bloggers/Influencers in our database who are in direct contact with us, and cover stories of our clients on regular basis. Moreover, we frequently update our database and add more people in our network. Based on your niche, we personally pitch your story to them. Our guarantee: Your press release will either be republished by them on at least 1 niche/general/business blog, or mention you/your company/product on one of their new blog posts. For just $199, we are offering you a level of coverage, which a $1000 press release pack from other renowned brands can’t offer. Perfect for new start-ups, professionals and businesses of all sizes!